At the age of six I expressed a desire to learn to play the piano and my parents were unsure where this aspiration had come from since most of my family were musically illiterate and they had no interest whatsoever in playing a musical instrument. Four years and many piano lessons later, I overhead my father mention in conversation with a neighbour that my great-grandfather James Aloysious Ingram (known as Curly) was very musical and he played the piano and the mandolin. My father mused that perhaps I had picked up an idle musical gene from James and he recalled how his sister/my aunt would often sit on James’ lap and put her tiny hands over his large hands while he played the piano. Apparently she would remark on how rough his hands were and how his knuckles were beaten up from the fights. I thought that was an odd thing to say, ‘from the fights’. My father showed me a photograph of my great-grandfather in his later years and I was surprised to see that James was the absolute spitting image of my father and, in turn, of me. I felt a close connection with James and pestered my father to tell me more about James’s life. And the more that I discovered about him, the more I found him to be a fascinating individual. 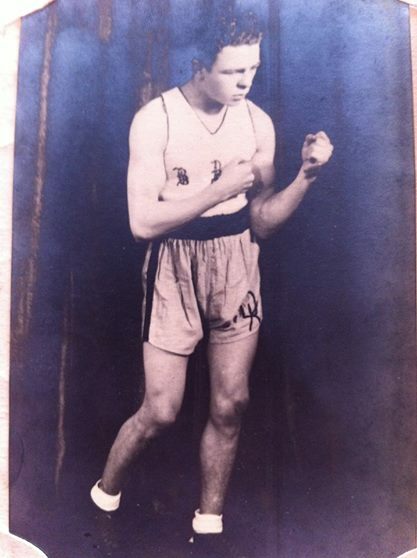 James lived in Harborne, he was ex-army and a bare knuckle fighter at Smethwick market. Every Sunday morning he would walk from Harborne to Smethwick to fight and when he returned home he would give his wife Florie all the silver from the win money that he had earned and he kept the copper for himself as beer money. He seemed to make a fair living out of it. James and his family were well looked after because they were in with the right crowd and knew the right people, although the company that James kept seemed very dubious indeed. A number of shady characters cropped up at various points in my father’s stories, such as the mysterious Italian Mr Mansini who found my grandfather a job when he came out of the army. Mr Mansini sent my grandfather to the local factory with a note simply saying that he had been sent by Mr Mansini - the note alone was a guarantee of a job and the gesture was made because my grandfather was Curly’s son and ‘Curly and his family were to be well looked after’. But the most memorable – and disturbing - thing that my father told me about James was this; if he went to the pub or out for the day with his family then he would wear his ‘home cap’, but if he went out of the house wearing his ‘working cap’ then my great-grandmother would stay awake and wait up all night in the front bay window of the house until he came home, because if James went out wearing his ‘working cap’ then she knew there was going to be trouble. When I asked about the significance of the caps, my father explained that the ‘working cap’ had razor blades sewn in the rim which came in handy if there was ever a fight. And, by the sounds of it, there were lots of fights. He said, for instance, that James played the mandolin in the Green Man pub in Harborne and one evening there was a huge fight between his group of friends and the police. It seemed to have been some kind of sting operation targeting them all. James took out three policemen, he smashed his mandolin over the head of one policeman (thereby ending his musical career) and he threw another policeman through the front window of the pub into the horse road outside. The police took James to Steel House Lane police station where he 'fell down the steps of the police station' (he was beaten up) and my great-grandmother claimed that he was never the same again afterwards. I remember this conversation well because I was not only shocked by the thought of slashing someone's face with razor blades, but also by the way in which my father spoke so matter-of-factly about it all and with such an oddly warm affection towards the individuals in the stories. I had heard both my father and my grandfather mention the words ‘peaky blinder’ before and I didn’t know, or much care at the time, who they were referring to. But now it all made sense. It was somehow acceptable for my father and grandfather to speak kindly about James and his friends because these individuals had ‘principals’ - they had a strong family-like bond, they would watch out for one another and their families and they were firmly ‘on our side’. I took comfort in knowing that, due to my surname, I would have nothing to fear had I encountered one of these suspicious characters on the street. 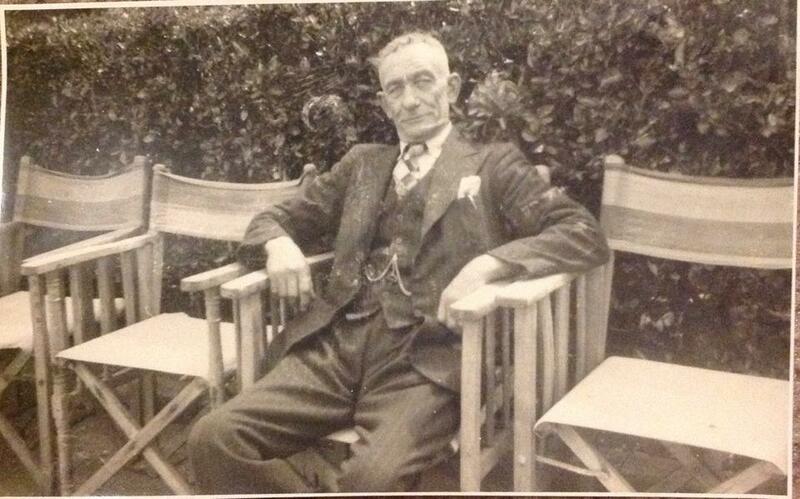 On the flip side of my family coin there is my great-grandfather on my mother’s side: Sam Richards. Sam’s portrait hung on the wall in my grandparents’ front room for many years and he was gentle-looking man wearing a sharp business suit, well slicked hair and a kindly smile. 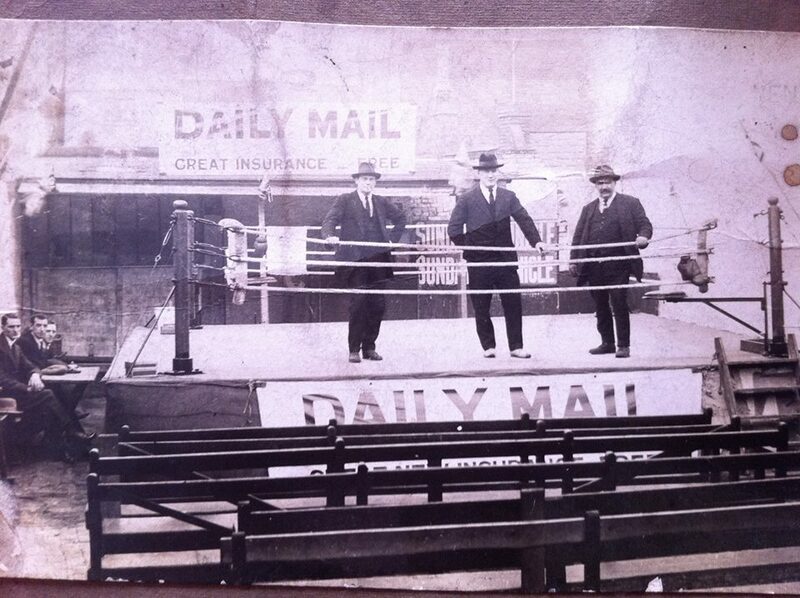 Sam started out as a boxer, then he became a book maker and eventually the owner of a large boxing ring in Selly Oak. Although he was neck-deep in dodgy book-making dealings, he presented a business-like front to his activities and he clearly had the police under his influence. The police would tip him off before a raid and when passing on their regular beat they would bang on the wall of the house whenever he needed to clear the house (which most often involved sending my grandmother down to the bottom of the garden with the betting slips in her dolls pram). Sam made a great deal of money, he bought a lot of local property, he was a freemason and he contributed to the community by buying shoes for local orphans. He certainly didn’t hide the fact that his business was lucrative and he once caused a stir in the community by buying my grandmother a silver-handled umbrella (which she subsequently left on a bus). My mother recalls that the words ‘peaky blinders’ were banded around the household when she was a child and she was aware that Sam mixed equally with both well-heeled individuals and shady groups who looked out for his business. I had the feeling that the Curly’s of the world were on Sam’s payroll rather than his drinking buddy in the pub - in fact it is a running family joke that my father’s family were on the rough-and-ready side of the Birmingham gangs, whereas my mother’s family were much more discreet with their dealings and ‘higher up the food chain’. I vividly remember the stories that my grandparents told me about growing up in Birmingham and I have portraits and photographs of James and Sam and assorted paraphernalia from their lives. I remember visiting my great-aunt who lived to be over one-hundred years old and seeing how she kept their old terraced house perfectly-preserved, with a rocking chair in front of an open fire, lace antimacassars on the armchairs and a freezing cold outside toilet. And, aside from modernising our houses, things haven’t changed a great deal in some areas of Birmingham. I grew up in an area of Birmingham that could be a violent place to live but it also valued strong generational links forged between large, influential families that looked out for each other. Loyalty and family names still carry a great deal of weight around here. And seeing how closely I physically resemble James and hearing how similar our characters are (even down to our piano playing), things haven’t really changed that much within my own family either. So, as you may well imagine, when I heard twenty-years later that a TV series had been made that focused on the Blinders, I was filled with mixed emotions and expectations because I felt as though someone was making a documentary about a close friend or relative. A writer who was unfamiliar with the true spirit of these individuals could be tempted to ridicule the Blinders or cast them as heartless gangsters. However I wasn’t disappointed. In fact a great deal of content made me smile because it cut very close to home. Pretty bang-on in some cases. I’m pleased that the series didn't shy away from the brutal, frenetic violence that these men were predisposed to because that was certainly the case from the stories that I heard (and I still see it around me in some districts of Birmingham these days) but it also highlighted the strong allegiances, friendships and family ties between the gang members. The only thing I found lacking was the vicious humour that these men had - the constant joking around and the casual way that serious matters, such as injury, incarceration or even death, were laughed about and passed over. I saw this raw humour in my grandfather’s friends and older family members who have now passed away and I found it amusing but deeply unsettling. For this reason the character of Arthur is the most authentic by far, if only for the speed in which he switches between loud light-hearted banter and intensely serious vicious attack. But the greatest accomplishment of Peaky Blinders is that it portrays the central characters as both hero and villain thereby giving the viewer the uneasy experience of both fearing and admiring them, which was the exact same uncomfortable feeling that I grappled with upon learning about my family connections with the Blinders as a child. James’ working cap gave me more than a few nightmares as a child, but there are aspects of his personality and values that I admire and see within myself. Perhaps the fondness that I have for James, Sam and their friends is borne out of a realisation that although they were violent men who sailed on the wrong side of the law, they also had strong family values, they were loyal to those who were loyal to them and they would protect their friends and loved ones at all costs – all values that modern-day society would do well to aspire to. (Interestingly, my auntie tells me that James’ death was quite a talking point. The story goes that a gypsy came into the Green Man pub in Harbourne and started reading palms. James paid her to read his palm, she took one look at his hand and refused, then left the pub straight away. James died only days afterwards).